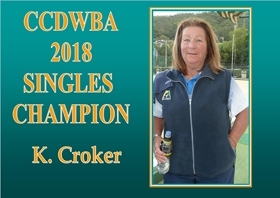 Our Major Singles Final Championship was played on 28.2.2019 between Coral Allenby and Linda Pointing. Both ladies were successful in winning their previous rounds to make it into the Finals. A good game with some great bowls played but Coral was to be crowned the winner on the day. Well done ladies on your achievement. Our Annual Presentation Day & Christmas Party was held on Thursday 6th December. with many of them taking to the floor. The Wyong Group Friendship Weekend was held on 6/7 October 2018. Avoca's combined Men's & Ladies team were able to win the Shield.